RLI is delivered in daily one-to-one teaching sessions. In addition, the intervention requires regular planning and preparation time. It is designed to be delivered by teaching assistants supported by the class teacher and the school's special educational needs team. RLI is delivered in daily one-to-one teaching sessions. The evaluation study confirmed that teaching assistants can successfully plan, prepare and provide the daily teaching sessions. Our experience suggests that people with a variety of educational experience should be able to learn how to deliver the intervention successfully. If more than one educator is working with a child during the week and therefore also delivering intervention sessions, they too should be familiar with the program. The two educators will need to liaise closely to maintain continuity. Ideally, at least two members of staff should be familiar with the intervention to ensure there is cover for any staff absence. The staff involved in delivering the intervention will need sufficient time available for planning, preparing materials, delivering teaching sessions, and recording/monitoring progress. Specialist support will be available in many schools. In UK schools there will typically be a class teacher responsible for the child's education and a Special Educational Needs Coordinator providing specialist guidance and support to the class teacher and teaching assistants. There may also be a reading specialist among the school's teaching team. Any teacher with experience of teaching early reading skills in the first three years of reading instruction, or with specialist knowledge of helping delayed readers, would also be ideally experienced to offer support. Class teachers should consider ways to link the individual intervention teaching with general class literacy work. It is also advisable to involve the child's speech and language therapist to support the planning and delivery of the language strand. The intervention sessions should be delivered somewhere quiet and free from potential distractions. A variety of teaching resources are required - some of which should be readily available in many classrooms, while others will need to be purchased or made. It is important to have all the materials ready for a session and to plan each activity and the order of activities in advance. A lack of organization can have a significant impact on the child's ability to sustain attention and motivation, can lead to behavior issues and make the difference between a useful, effective session and a failed or abandoned session. The reading and language strands can be delivered together as a single 40-minute session or separately as two 20-minute sessions. The choice of schedule depends on what works best for the individual child, how it fits into the school day, and the availability and routine of the person delivering the intervention. 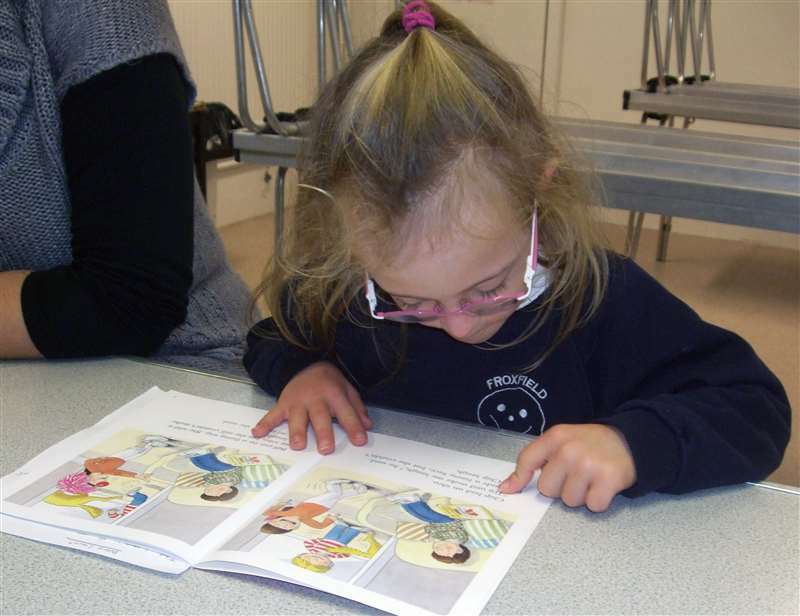 Before starting the intervention, the pupil's current abilities must be assessed to select vocabulary, books and teaching materials that are appropriate for their stage of language and reading development.